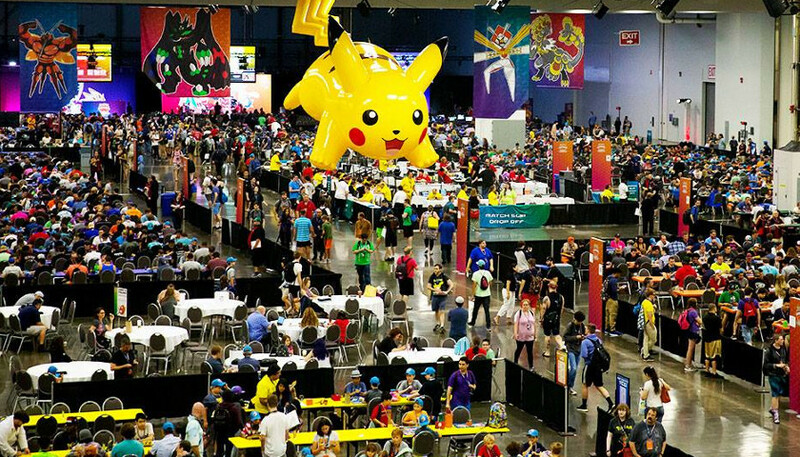 Later this month people from around the world will converge in Nashville for the 2018 Pokémon World Championships at the Music City Center. Pokémon is a video game, card game, or other inventory of toys featuring certain Japanese cartoon characters. More than 5,000 Pokémon players, supporters, and fans are expected to attend, according to a press release from the Pokémon Company International. To sweeten the pot, the event will have more than $500,000 in scholarship money and prizes up for grabs. Also up for grabs is the title of Pokémon World Champion. People from more than 35 countries are expected to attend, the press release went on to say. No one from Pokémon Company International returned a request for comment Friday. “Alongside intense head-to-head battles, the family-friendly event set in a festival-like atmosphere will feature colorful Pokémon cosplay, a thrilling Pokkén Tournament DX competition, costumed characters, non-competitive play, and energetic Opening and Closing ceremonies,” the press released stated. For a taste of what you can expect at the event, check out the recap video of the 2017 Pokémon World Championship. According to Nintendo.com, “Pokémon are creatures of all shapes and sizes who live in the wild or alongside humans. For the most part, Pokémon do not speak except to utter their names. There are currently more than 700 creatures that inhabit the Pokémon universe,” the website said. The website went on to say there are different types of Pokémon, such as Fire type, Psychic type, and Dragon type. “The first Pokémon games were released in 1996 on the Game Boy, spawning numerous sequels, a card game, an anime and more merchandise than you can shake a stick at,” Forbes said.